My dear friend Iris from Pinoy Online Community gave me this award. 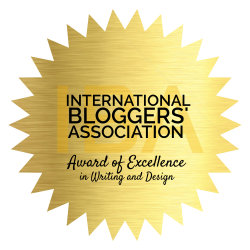 It was so really heart warming because she said “I’m not sure if I need to explain further, because obviously she deserves this Super Blogger Award… She’s my mentor when it comes to blogging.. “Indeed it’s a really nice way of making a friend so happy! Start Copy from “Begin Copy” until “End Copy”. 1) Pick a blog or some blogs that you would like to award this honor to. 2) Make a short review about the blogs that you pick or give the reasons why he/she deserves the award. 4) Award-winner and the one who has given the prize have to show the link of “Super Blogger Award” blog, so everyone will know the origin of this award. 7) Add your site(s) to the list. 8) Let me know your blog’s name and url by leaving me a comment HERE. I will add you to the master list. 9) Please come back again to copy the update of the master list, often. This process will help new participants to get the same gains as the first participants. 1. Aeirin’s Collections, 2. Biz-N-Honey, 3. Pinoy Online Community, 4. Pinay Mommy Online, 5. Your Next!! 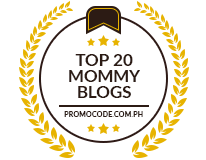 Lalaine’s World – She was the reason why I came to know about blogging. Without her invitation I wouldn’t know blogging existed. Expressions and Thoughts – She was the one who introduced and encouraged me to do paid blogging. Wishing on a Falling Star – One of the few bloggers who welcomed my friendship when I was just still a newbie and still remembers me. Pinay WAHM – She was the one who always commented on all my musings and rants. Never forgets a day to pass by and say hello. You deserve this too guys!! Maraming salamat Mommy! Back atcha! I hope you’re having a better day today!